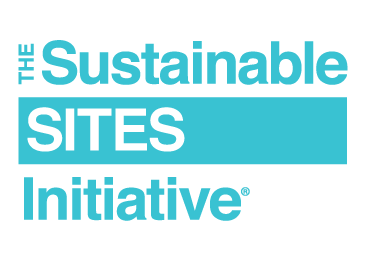 SITES APs are landscape architects, designers, engineers, planners, ecologists, architects, developers and policymakers committed to the field of sustainable land design and development. Maintaining a SITES AP credential demonstrates their knowledge, expertise and commitment to their profession. SITES APs must maintain their SITES AP credential by earning a total of 30 continuing education (CE) hours every two years. Of these 30 CE hours, six must be SITES-specific, and 24 must be general. General CE hours are activities relevant to general green building concepts, such as environmental sustainability or human health and wellness. SITES-specific CE hours are activities that relate directly to SITES. The SITES AP Credential Maintenance Program (CMP) is designed to align with the LEED and WELL professional credentials maintenance requirements, so that professionals who have multiple credentials can leverage hours earned for one program for the other. For more information about maintaining your credential, visit the Credential Maintenance Program Guide. Taking courses on the Education @USGBC platform is an easy way to keep up with trends and developments in green building and sustainability, while earning CE hours. You can filter for courses that are approved for your credential maintenance hours or simply complete all the courses within our curated CMP: SITES AP Playlist. Working on a project registered for SITES certification can count for one SITES-specific CE hour per credit. Project administrators can report an additional 2 CE hours per project. Authorship is a credited contribution to a print or digital publication. Each published article is worth 3 CE hours, and each published book is worth 10 CE hours. Authoring content that is directly related to SITES technical content is eligible for SITES-specific CE hours. Volunteering can include participation in leadership positions, steering committees or working groups; LEED, SITES or WELL credential exam development and maintenance activities; or serving on local USGBC community boards, committees or other volunteer organizations in which they further their knowledge about green building. Volunteers can claim one hour per hour of participation. SITES-specific hours are designated for volunteering that is directly related to SITES. Maintaining your credential can be done in a variety of ways, and following the SITES AP CMP Guide can help keep you on track.